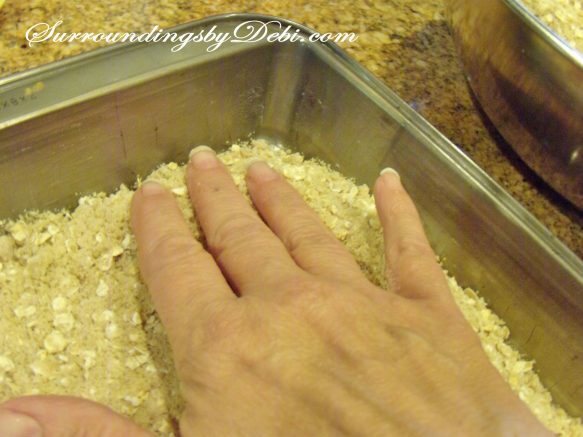 How many times are we in a pinch for a quick and easy recipe to take to a quick get together, a bible study or some event involving finger foods? These quick and easy raspberry bars are a great addition to anyone’s recipe box. 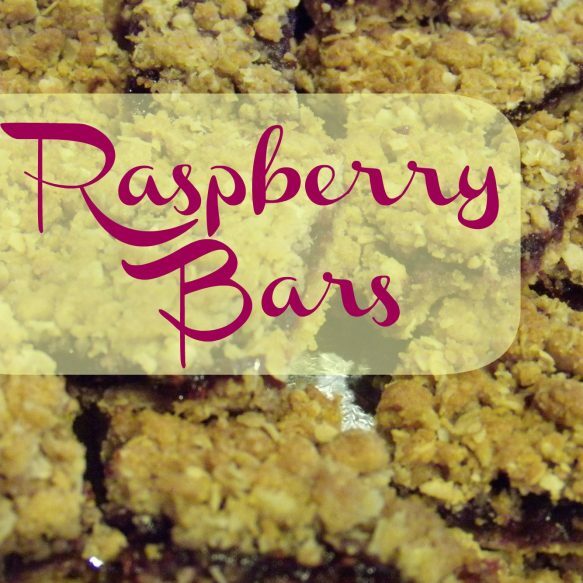 Served warm with ice cream, these raspberry bars make a delicious treat. Begin by creaming together the butter and sugar until light and fluffy. 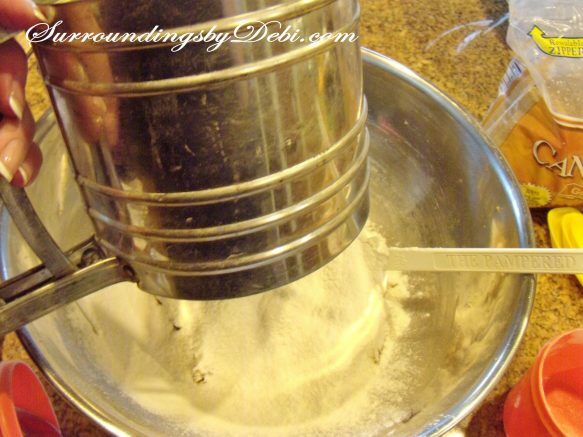 Sift the flour, salt and soda together and stir into the creamed mixture. 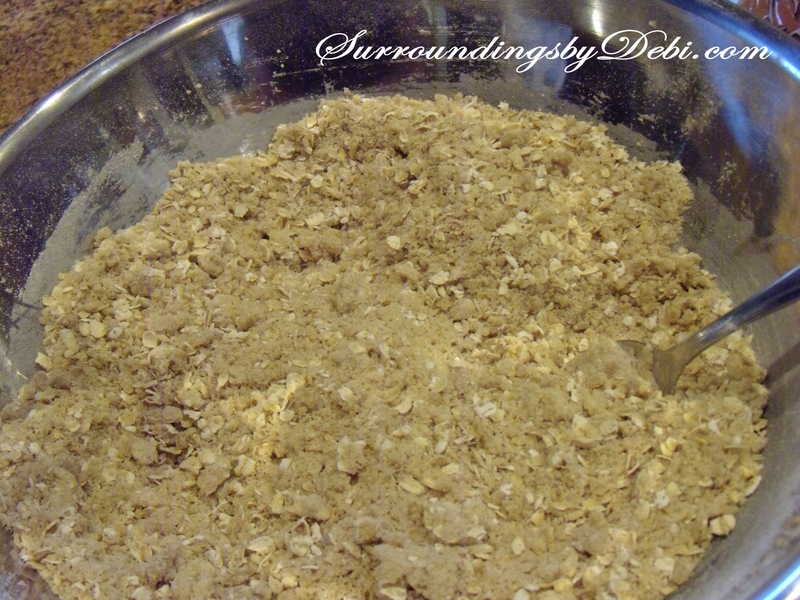 Add the oatmeal and 1 tablespoon of the water and mix until crumbly. Firmly pat one-half of the mixture into a greased 13x9x2 inch baking pan. 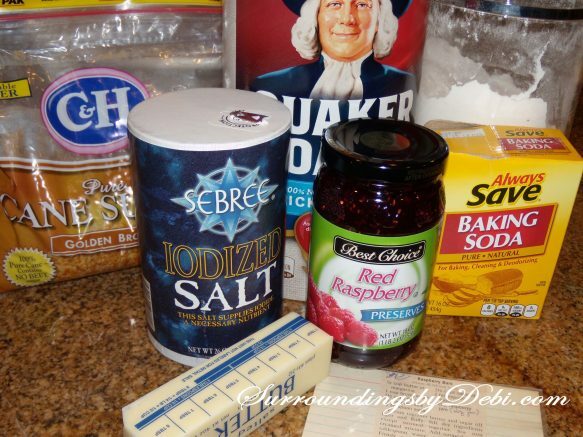 Spread the raspberry jam over the mixture. 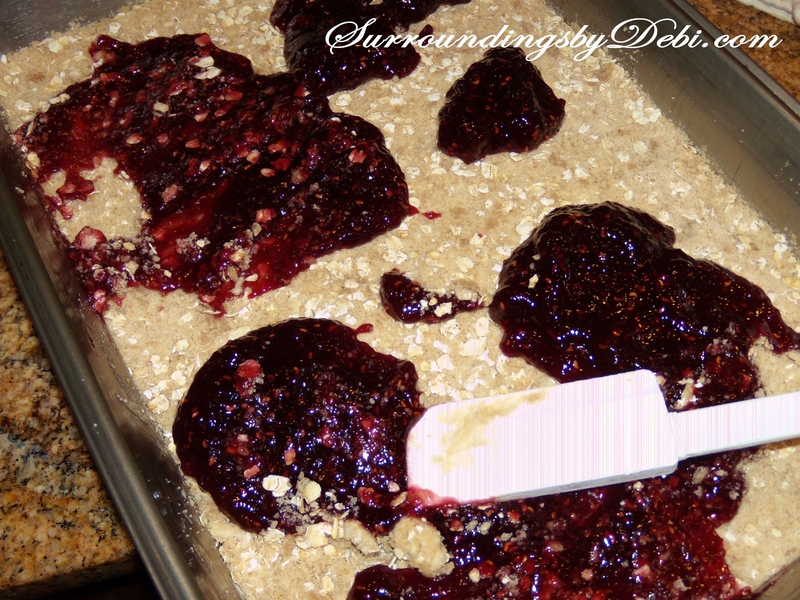 Stir remaining water into the remaining crumbs and sprinkle over the raspberry jam. 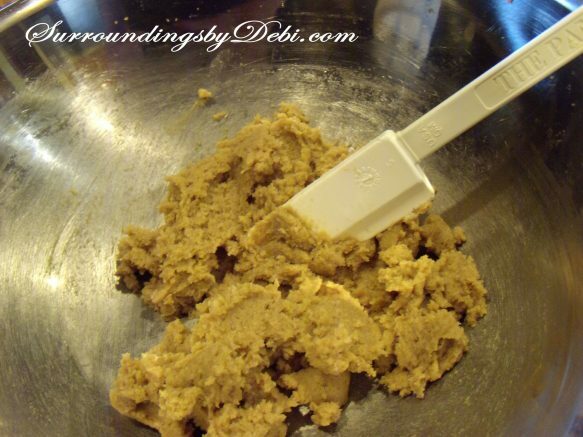 Pat smooth. Bake at 350 degrees for 25–30 minutes. 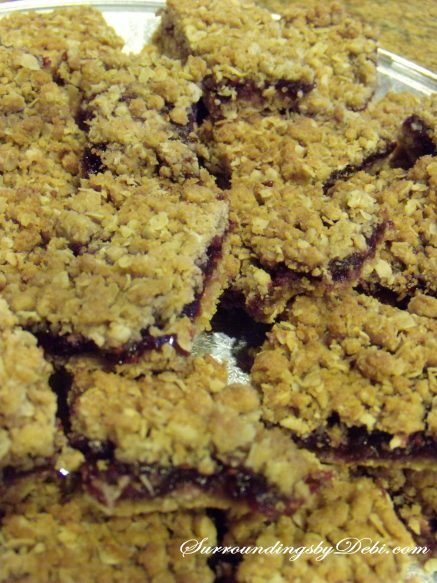 Cool and cut into 1×3 inch bars. 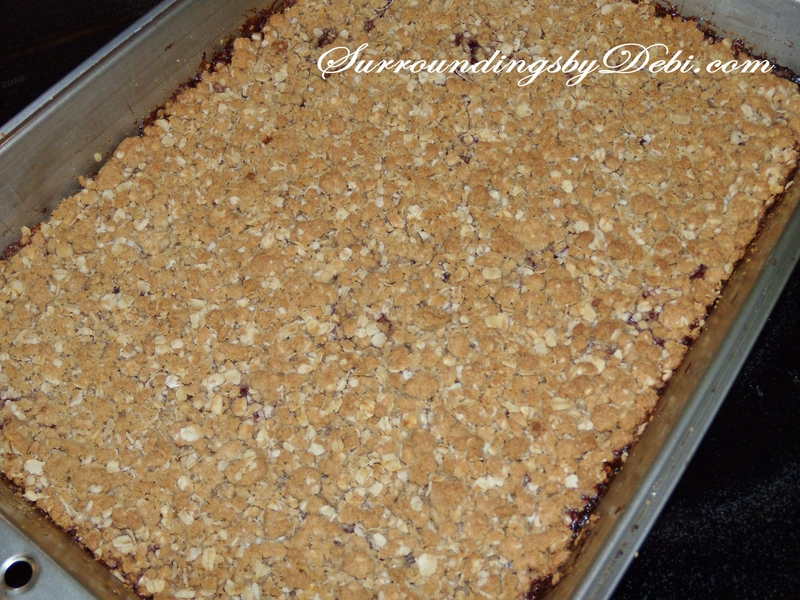 These raspberry bars are so simple and so rich and delicious. 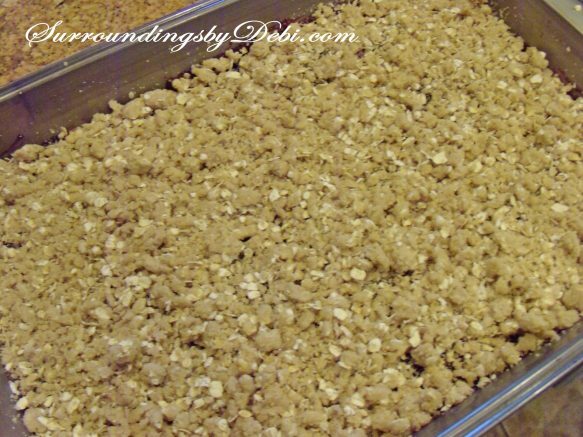 I get asked for this recipe whenever I make them. Raspberry Bars make a quick and easy dessert or cookie. 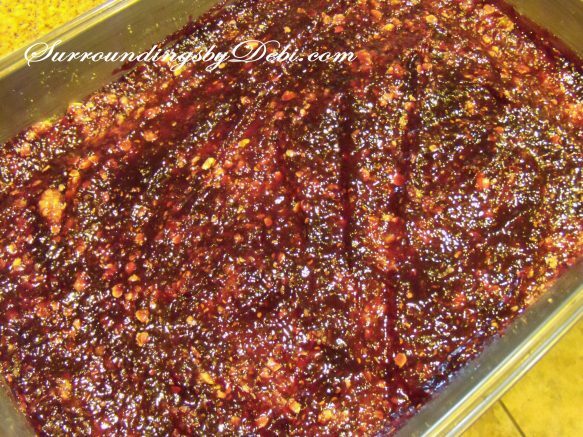 Bake at 350 degrees for 25 – 30 minutes. Cool and cut into 1x3 inch bars. If you enjoy these recipes and decorating ideas, be sure to subscribe to emails sent directly to your inbox or like our Facebook Page!